Dancing the night away, Priscila Lai Tung, a dietetics major, and Greg McCrea, a human resources management major, enjoy Friday nightâ€™s salsa dancing and live music. 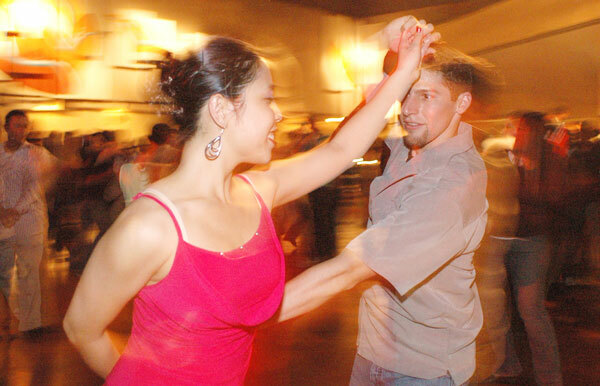 The Vintage Days event was free to Fresno State students and included salsa lessons at the beginning of the evening. For more photos from Vintage Days, see page 3.